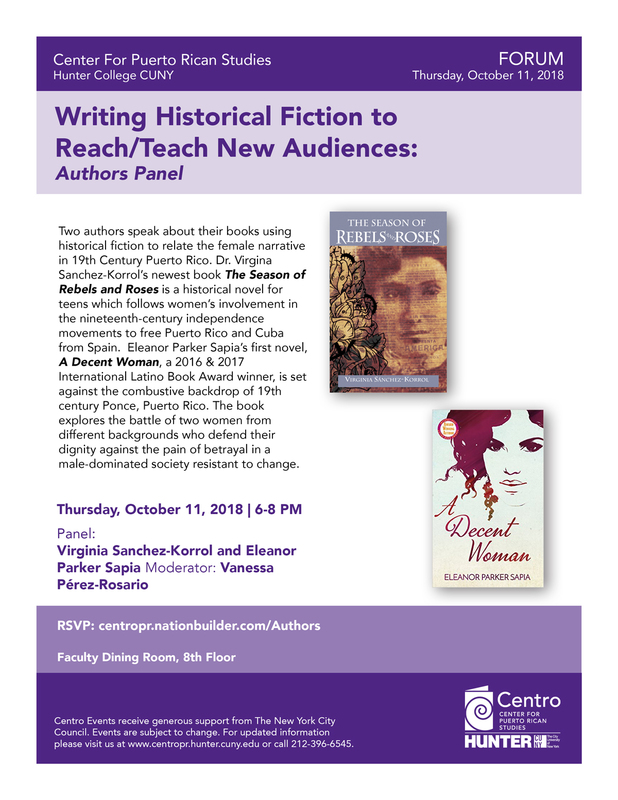 DescriptionTwo authors speak about their books using historical fiction to relate the female narrative in 19th Century Puerto Rico. Dr. Virginia Sanchez-Korrol’s newest book “The Season of Rebels and Roses” is a historical novel for teens which follows women’s involvement in the nineteenth-century independence movements to free Puerto Rico and Cuba from Spain. Eleanor Parker Sapia’s first novel, “A Decent Woman,” a 2016 & 2017 International Latino Book Award winner, is set against the combustive backdrop of 19th century Ponce, Puerto Rico. The book explores the battle of two women from different backgrounds who defend their dignity against the pain of betrayal in a male-dominated society resistant to change. New Cover Reveal, New Beginnings! 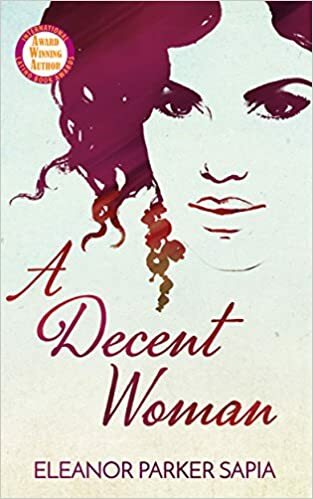 Yesterday I found out that the new cover of ‘A Decent Woman’ (ebook) is on Amazon! Kudos and many thanks to the multi-talented Ally Bishop and her awesome team at Scarlet River Press, an imprint of Sixth Street River Press, for coming up with the super retro, artsy cover with the lovely title font. The woman in the image reminded Ally of the character Serafina, and I have to agree! I love the colors and how they match the International Latino Book Awards badge, which I’m very proud to display. The paperback will be available on Amazon soon! I can’t wait to hold a copy of my “new” book. I love fresh, new beginnings, don’t you? Have a super week, everyone! Ana Belén Opaku, an Afro-Cuban born into slavery, is a proud midwife, the only one in La Playa. After testifying at an infanticide trial, Ana is forced to reveal a dark secret from her past while she continues to hide a more sinister one. Pitted against the parish priest Padre Vicénte and the young Doctór Héctor Rivera, Ana must fight to preserve her twenty-five-year career. Serafina is a respectable young widow with two small children who marries a wealthy merchant from a distinguished family. When she’s attacked during her pregnancy, she and Ana become allies in an ill-conceived plan to avoid scandal and preserve Serafina’s honor. Set against the combustive backdrop of a chauvinistic society where women are treated as possessions, Eleanor Parker Sapia explores the battle of two women defending their dignity against the pain of betrayal in a society resistant to change. Eleanor’s debut novel, ‘A Decent Woman‘, set in turn of the nineteenth century Puerto Rico, is published by Sixth Street River Press. The book is a finalist for Best Historical Fiction, English, in the 2016 International Latino Book Awards with Latino Literacy Now, and was selected as Book of the Month by Las Comadres and Friends National Latino Book Club. Eleanor is featured in the award-winning anthology, ‘Latina Authors and Their Muses’, edited by Mayra Calvani. 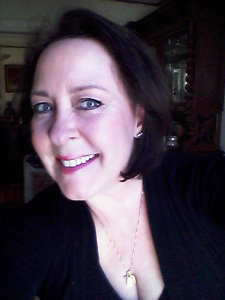 Eleanor is a proud member of Las Comadres Para Las Americas, PEN America, The National Association of Professional Women, and the Historical Novel Society. She is a contributing writer at Organic Coffee, Haphazardly Literary Society. Posted on June 21, 2016 June 21, 2016 Categories UncategorizedTags A Decent Woman, author, award, award-winning author, book, book cover, Caribbean fiction, caribbean literature, Eleanor Parker Sapia, Hispanic American fiction, Hispanic fiction, Hispanic literature, historical fiction, historical novel, history, International Latino Book Awards, literary fiction, new book, new book cover, new release, Puerto Rico, women's fiction, women's history4 Comments on New Cover Reveal, New Beginnings! If I had a time machine, I would press a button and erase last week. It was one of those weeks you’re ready to block from your mind or forget completely. I can say with total certainty—I hope it never repeats itself. If I’d known my world would be in such turmoil, I would have holed up on a remote island or in an isolated mountain cabin and shut out the world. Everything seemed to go wrong and nothing worked—nothing I said was helpful, nothing I wrote was pleasing, and nothing I did helped me move forward. There was no movement in any positive or clear direction. For three days, I floated in some limbo-like place, where for every two steps forward, I was forced to take five steps back. My tub stopped draining, my washer pooped out again, and a necessary check was beyond late. I prayed for answers and relief. Maybe the planets were lined up in a strange astrological configuration, precluding me from accomplishing good, necessary, and helpful work because nothing I did changed the way things were going down. So I put those situations on the back burner. Denial and being still can be beautiful states and very helpful when nothing else works, or when we can’t see our way forward. It was a bleak time with no relief or end in sight. I had to look away. By sitting quietly, I realized how low my energy was and how shaken my confidence levels were in a few areas of my life that I’d previously thought were fine and dandy. In some areas, I had some semblance of control, yet in a few others, I was helpless to change events, thoughts, or perceptions. I realize I’ve written the word ‘nothing’ six times so far in this blog post. Enough already. Well, I’m happiest when writing, but to work on my novel at that time would have been wasted time as I was having trouble focusing and counting my many blessing, for which I’m very thankful. It was time to fill my dry well with projects and activities that usually take my mind off troubles. As it turned out, it was too cold for working in the flower garden, I couldn’t focus enough to read, and who cleans to relax? Certainly not me. 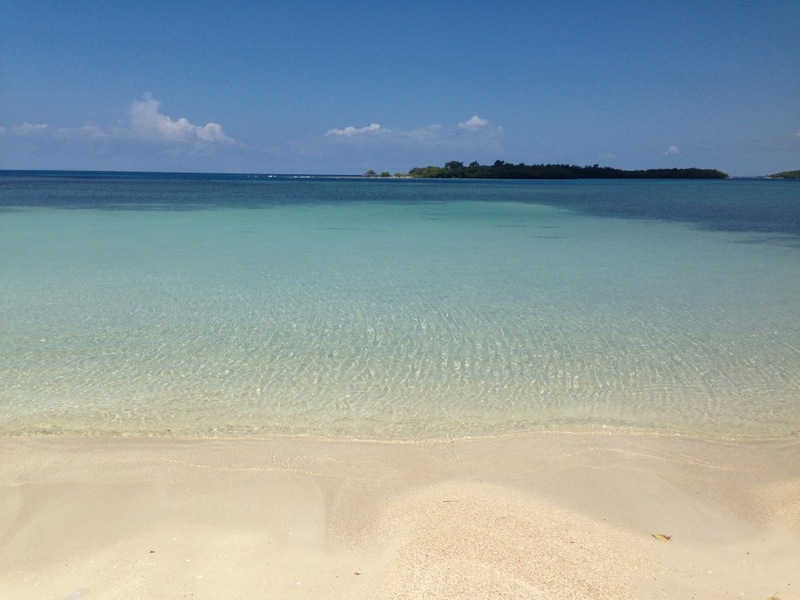 I decided to continue researching for my novel called, ‘The Lament of Sister Maria Immaculata’, set in 1900 on an islet off the coast of San Juan, Puerto Rico called Isla de Cabras, The Island of Goats. I find the process of researching both interesting and satisfying (nearly as much as writing), but I already had a bunch of research material. Wouldn’t that be wasting time? Oh, I don’t know, it seemed a better option than jumping into bed and pulling the covers over my head for the rest of the week. At least I’d be moving forward for a very good cause—my book, and in the process, hopefully I’d improve my mental state and lift my spirits. I write historical fiction, Historical Caribbean, Hispanic, and Latin America fiction, to be exact. In my stories, I strive for accuracy in setting, the historical timeline, history of the era, and period details such as, customs, food, music, social and class structure, dress, religion, architecture, and so on. My job as a novelist is to help the reader become immersed in the world I create for them as they step through from real life to the past. My goal as a storyteller is to enable my readers to connect with the characters on page one by giving them enough juicy details so they can see, hear, feel, touch the world and characters I’ve created as they enter my fictional world. At the same time, however, bogging our readers down with large information dumps is never a good idea. Information and details must be carefully woven into a story so the reader’s eyes don’t glaze over, causing them to lose interest in the story with too many facts, figures, names, and dates so we can show off our awesome research skills. Not a good idea. We want our readers to learn new things about our chosen setting and characters in a seamless, organic way. Many fiction writers believe we are preachers, teachers, and historians, and that’s true in a way–we have ideas, beliefs, and messages we wish to convey to the world through our books, but first and foremost we are storytellers. So, I fired up the laptop and began with the Library of Congress, which led to the Hispanic Department, which led to searching for information about the leprosarium on Isla de Cabras, where my current story takes place. I don’t know if I felt any better, but the search was gratifying and took my mind off my troubles. During the research, I discovered several doctoral dissertations, which I thought might be helpful, so I emailed the Hispanic Department for help because I couldn’t access one pertinent dissertation. The next day, someone from the Department emailed back with access information and included a link to another doctoral dissertation. Thank you, person at the Hispanic Department of the Library of Congress! Well, that was exciting news because the student, now a Doctor of Anthropology, had also written a paper that included difficult-to-access Governor Reports of the time period I needed, complete with lists and inventories from the leprosarium, maps of the islet I hadn’t seen before, charts, and details of buildings on the island at the time—priceless information. As I understood, I had two options: ask my local library to order the dissertation, or visit the Library of Congress in Washington, DC. Both options involved more energy than I had in reserve last week, so I went on Academia.com and emailed the Doctor of Anthropology, requesting a copy of her dissertation. A day later, she kindly replied, graciously offering to forward several documents. I was grateful for her generosity, and hope her dissertation will be one of the attachments. Pesky closed doors were finally opening. My hope, spirit, and mood were bolstered and uplifted. I spent the next few days reading articles and papers that filled in missing pieces to my story. 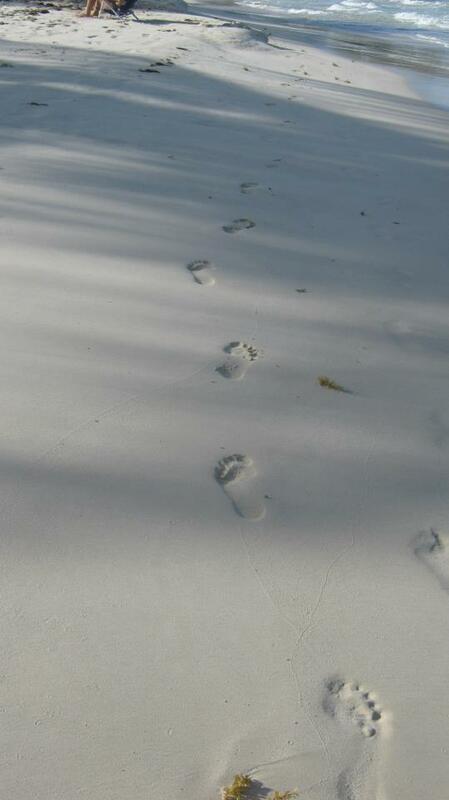 The information aided in adding more concrete images to my story and in fleshing out characters. So now when I say the boat approached the dock, I now know which side of the island the only dock actually stood and where the disinfection sheds stood for disembarking patients, called inmates at the time. The mother lode of information is priceless for creating rich description, a vivid setting, well-fleshed out characters, for creating mood, and for historical accuracy. So, it’s Monday. Have things improved in my world? I’m hopeful things will sort themselves out this week, and I pray things improve around me, but for the moment I’m lying low. I’m buying a new washer, finally, and I’ve returned to my story, excited and armed with loads of delicious detail and interesting information, which I hope will please my readers. I’m happily writing again. What did I learn last week? I was reminded that there are things in life we cannot control, no matter how hard we try to reign stuff in and how much we worry. Sometimes we have to let go because we might not get the answers or solutions we want, when we want or need them. We share our world with lots of people and people can and do impact our lives in positive and negative ways. Our job is to weather the storms with dignity, honesty, and clarity, while remaining as humble, open-minded, and compassionate as we can with what we know. And when we find life is still difficult and doesn’t make sense, it might mean we don’t yet have the necessary tools or skills, or that we weren’t given the entire story with which to make a decision. So we forgive ourselves and others, and try to understand with an open heart, a newly-expanded heart, which is entirely possible and worth growing. Writers, check out Academia; you just might find what you’re searching for. Happy writing to you! Puerto Rican-born novelist, Eleanor Parker Sapia, was raised in the United States, Puerto Rico, and Europe. Eleanor’s careers as an artist, counselor, alternative health practitioner, Spanish language family support worker and a refugee case worker, continue to inspire her stories. Eleanor’s debut novel, ‘A Decent Woman‘, set in turn of the nineteenth century Puerto Rico, was selected as 2015 July Book of the Month for Las Comadres & Friends National Latino Book Club. Eleanor is featured in the anthology, ‘Latina Authors and Their Muses’, edited by Mayra Calvani, and in the soon-to-be released anthology, Organic Coffee, Haphazardly Literary Society, edited by Allie Burke. Eleanor is a proud member of Las Comadres Para Las Americas, PEN America, The National Association of Professional Women, and the Historical Novel Society. She is a contributing writer at Organic Coffee, Haphazardly Literary Society. When not writing, she loves facilitating creativity groups, reads, and tells herself she is making plans to walk El Camino de Santiago de Compostela a second time. Eleanor adores her two adult children and currently lives in West Virginia, where she is happily writing her second novel, ‘The Lament of Sister Maria Inmaculada’.